What's the hottest ticket in Albany for young professionals 21 and older? The AMA Contemporaries. Get ready for an Evening of Jazz and Wine Thursday, April 25 from 7-9 pm. 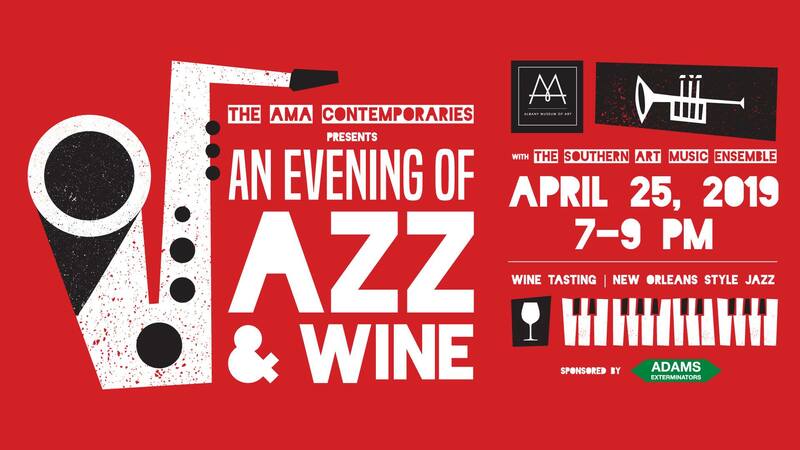 Sample great wines, taste delicious snacks, listen to live New Orleans style jazz by Southern Art Music Ensemble and watch artists capture the night in sketches. Free for Contemporaries members. Non-members $30 in advance, $35 at the door.